One early morning in February 1998, we heard that our daughter Sophie, aged nineteen, had been involved in a fatal accident. She had been driving on a rather muddy stretch of road, skidded and lost control, and drove straight into the path of an oncoming lorry. In the ensuing days we as a family decided to found a charity in Sophie’s name to give financial support to needy students of acting and of singing. This was because Sophie had been a talented singer and actor herself, and had investigated applying to drama schools. Indeed she was auditioned by The Guildhall School of Music and Drama (GSMD), and narrowly failed to be offered a place. We discovered what an expensive undertaking it would be. Several members of our family became trustees, together with a local friend and solicitor. 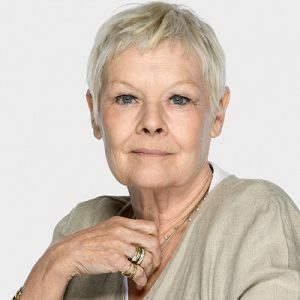 By a remarkable coincidence Judi Dench had been filming locally and we sent her a message asking her to consider being the Patron of what became known as ‘Sophie’s Silver Lining Fund’ (SSLF). Wonderfully she agreed to do so. In the months and years that followed many friends and people who had known and loved Sophie, and others who heard about the work of the charity, made very generous donations to the Fund. In the first year it was decided that two current students at GSMD would be selected for funding, one studying singing and one acting. They were chosen because of their urgent need for extra financial help towards completing their courses. As the years progressed and funds accrued the numbers of students helped each year has grown and grown. More and more drama schools and conservatoires have been involved, both in the UK and abroad. The usual grant offered is £1000, but smaller sums are awarded to students undertaking short holiday courses. Some hundreds of students have received grants from SSLF since the charity was founded. Many fund-raising events have been held. The charity published a book of Sophie’s own writings entitled ‘Sophie’s Log – thoughts and feelings in poetry and prose’. Thanks to some expert publicity given by kind people and some excellent reviews many thousands of people bought copies. The feedback was very touching, the content struck a chord with readers of all ages. Sales of the book boosted our funds considerably. Some schools have used Sophie’s Log with their students, encouraging them to write about their own thoughts and feelings in the same way as Sophie. A few years later the trustees commissioned a playwright, Bryan Willis, to write a short play based on Sophie’s Log. This play, simply entitled ‘Sophie’, had a successful run at the Edinburgh Festival Fringe in 2002 and was adapted as a radio play two years later for broadcasting on BBC Radio 4, as an Afternoon Theatre play. Students of drama undertaking LAMDA acting exams use an anthology of suitable scenes. We agreed to allow a scene from our play to be included. As a result many students who were drawn to perform this scene asked to purchase a full copy of the play script. For a few years a beautiful fuchsia variety named Sophie’s Silver Lining was sold commercially, the plant breeder’s royalties of one penny per plant being donated to our charity. Astonishingly this raised almost £1000. That means some 100,000 plants were sold! One of these striking Sophie’s Silver Lining fuchsias was prominently displayed at the Royal Horticultural Society’s Wisley garden. We still keep this variety going by propagating them ourselves. For ten years a weekend-long Music Festival to raise money for SSLF was held in our local church, featuring wide ranging classical repertoire, including new composition, plus performances from singers who had been supported by SSLF. In recent years we have adapted a small barn attached to our own house into a performance space which we call ‘Sophie’s Barn’. We host small groups wanting to stay in our home and use our facilities to rehearse their chosen programmes of music or drama, and to perform to an invited audience. Our audiences make donations to SSLF in a retiring collection. This has proved a very successful fund-raising system, and gives great pleasure to all involved. In 2011 the charity was honoured to receive an invitation from The Queen and The Duke of Edinburgh to a Reception at Buckingham Palace held to recognise the achievements of young people in the performing arts and those that support them. We felt very privileged to attend. How excited Sophie would have been! Over the years the trustee board has changed, most of the family members have stood down, but the new people taking over are totally committed to the future of SSLF. It pleases us particularly that two of these trustees received funding from SSLF when they were students themselves, singer Jane Maudsley and actor Celia Wright. 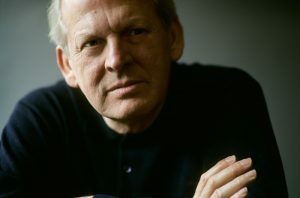 Very recently the opera singer Sir Thomas Allen agreed to be a Patron alongside Dame Judi Dench. We much enjoy encountering those who have been helped by SSLF, (we call them all, both female and male, ‘Sophies’) ! Attending Garsington Opera this season we counted no less than eight singing Sophies! We feel most blessed that Sophie’s legacy lives on, and are deeply grateful to the very many people who have helped us along the way, and continue to do so. I was very honoured when first asked to be a Patron of Sophie’s Silver Lining Fund, and immensely proud of their success and the help that they have been able to give to aspiring actors. Please add your support to this very worthwhile charity. There are several concerns for artists, largely to do with making what one hopes will be a valuable contribution to a community of people. I have a son, two stepchildren and six granddaughters. All of them are special treasures in my life and I cherish them all. The thought of loss would be unbearable, and yet in the midst of tragedy, individuals and families find the strength to continue. It does us all good to be close to that quality of humanity, and I’m privileged to be asked to play my part.